Last year has been a busy one for us with the client projects and our own website was due for an update. We finally got the time to make that happen and here we bring you 7th iteration of our website. In addition to the fresh look, we have done a number of improvements. For example we have higher quality images for our mobile app and web app projects. They are all optimized for retina displays. We have also extended the software development services which you can find them on the homepage. In the pre smartphone era, our company was mainly developing web applications. With the advent of iOS and Android devices in 2008 nearly all our inquiries were for mobile apps. So for few years after that we’ve been exclusively focusing on developing and deploying mobile apps to the Apple AppStore and Google Play. As mobile apps became more sophisticated and required server side integration, we started developing web applications again. Except this time web apps were mainly web APIs and Middleware used as the infrastructure for our mobile apps. Now it’s been nearly a decade that we have been developing web and mobile apps for enterprises and non profits. We even helped a few startups with their 1.0 beta product launches. We’ve gone through hundreds of use case scenarios in the scientific, healthcare, and industrial sector. It was time that we officially reflected all those experiences in the services that we offered. In addition to our native, html5, and hybrid mobile app development services, we have also added the following to our list. 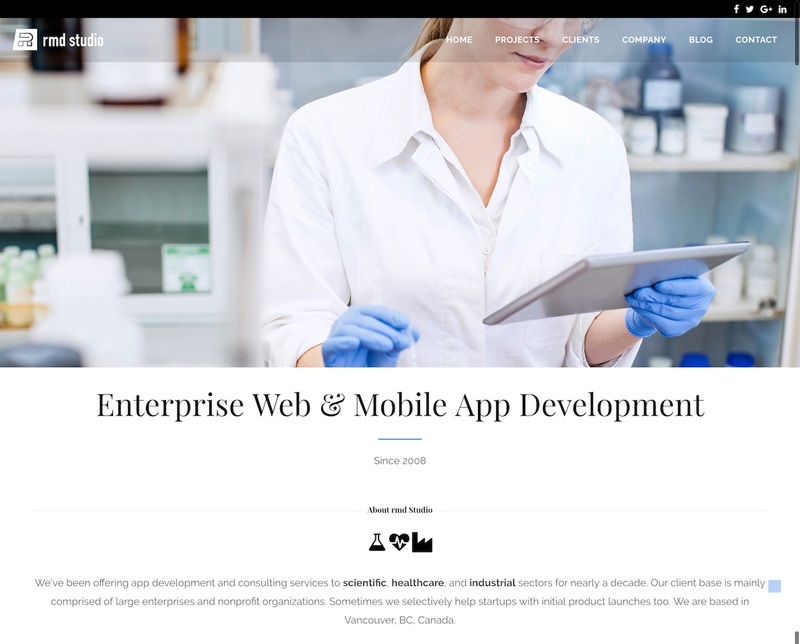 Enterprise Mobile App Development: they include content Delivery apps and Mobile integration with Enterprise Resource Planning and Enterprise Incident Report systems, as well as electronic proof of delivery systems. Web App Development: such as web APIs, middleware, and web apps that are accessible by web browsers. Scientific & Healthcare Apps: mobile and web apps that are used for data collection, calculations, aggregation, and visualization. Consulting: scoping and providing time/cost estimates, system analysis, risk analysis, information architecture, user experience design (UX), and User Interface Design (UI). You can see the complete list of our services on our homepage now. We’ve tried to optimize our content for people who are not coming from a technical background. That said, if you had any questions or found any of the descriptions to be vague, please feel free to drop us a line or send us a tweet.